Black and white is an exciting medium for any photographer to work in, but it can be hard for beginners to know how to get started. In today’s lesson (the second in a series of four black and white photography lessons) we’ll explore a couple of top tips to help get you started in black and white photography. Before we look at seeing in black and white, we need to understand that great black and white photos are created in two steps. 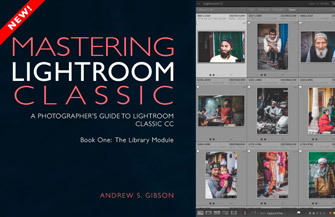 The first is seeing, the second is post-processing (or developing in Lightroom terminology). Our first tip is that learning to see in black and white is just as important as knowing how to use Lightroom to convert your photos. If the image is badly composed, or the subject doesn’t work in black and white, then it doesn’t matter how creative or clever you are in Lightroom, you’re going to struggle to make a good monochrome conversion from it. Before you even go out with your camera and the intention of making black and white photos, it’s helpful to go through your Catalog with the aim of looking at your older color images with a fresh eye to see which ones would work well in black and white. 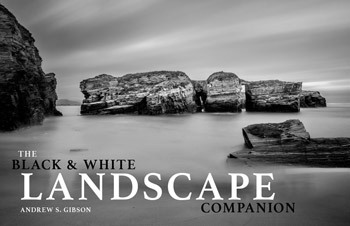 This will help familiarize you with the compositional aspects that make up a good black and white photo. To help you with this process I thought it would be interesting for you to look at one of my color photos that I realized would work well in black and white after I had taken it. This insight into my thought processes should help you see which of your color photos might also look great in mono. I was exploring the outskirts of the town when I came across these old wooden boats. Initially I was attracted to the atmosphere of the scene – it was raining softly, and in the original uncropped color photo you can see the hills on the horizon faded by the drizzle. Here’s the color version. It worked beautifully, but in Lightroom I also realized that it would come out beautifully in monochrome. There are three main reasons why this photo would work well in black and white. In the color photo the big boat is painted yellow and the smaller boat orange. These set up an interesting color contrast against the green foliage. That’s one of the factors that prompted me to make the photo. But in Lightroom it’s easy to lighten the boats so that the boats are a light tone agains the dark tones of the background. This is a powerful compositional technique in black and white that works because the eye is naturally pulled to the brightest parts of the image. If the brightest parts also happen to be your main subject, then it helps the eye go straight to it. The weathered surfaces of the boats and the grass are beautiful textures which tend to be more effective in black and white than color. This image wouldn’t have worked nearly as well if the boats were brand new. It’s easy to emphasize texture in Lightroom to make the photo more dramatic, especially in black and white. I decided the hills in the distance were a distraction and cropped the photo to concentrate attention on the boats. I did this in Lightroom and it strengthened the composition by focusing attention on the boats. Here’s the black and white version. 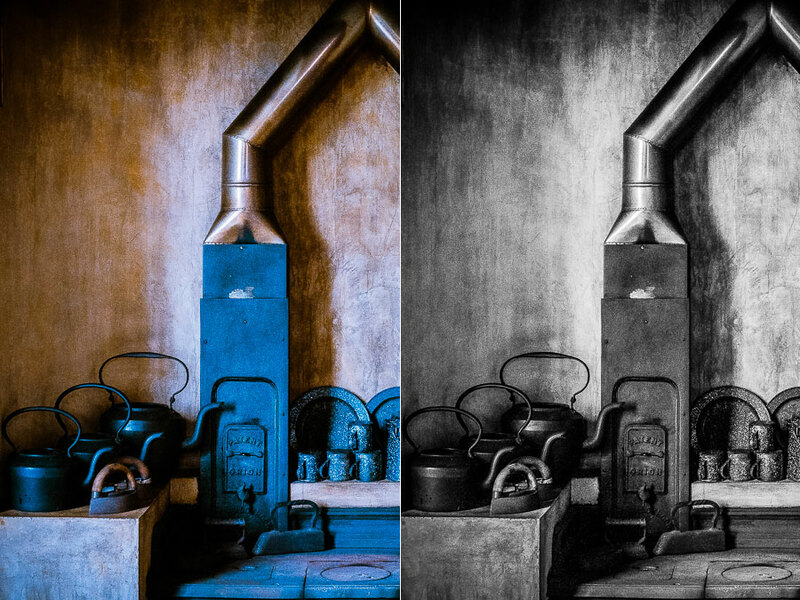 It’s important to understand that part of learning to see which color photos would also work well in black and white is knowing what your tools (in this case the options in Lightroom’s Develop module) are capable of. • I used the B&W panel to make the tones of the boats’ paintwork lighter. 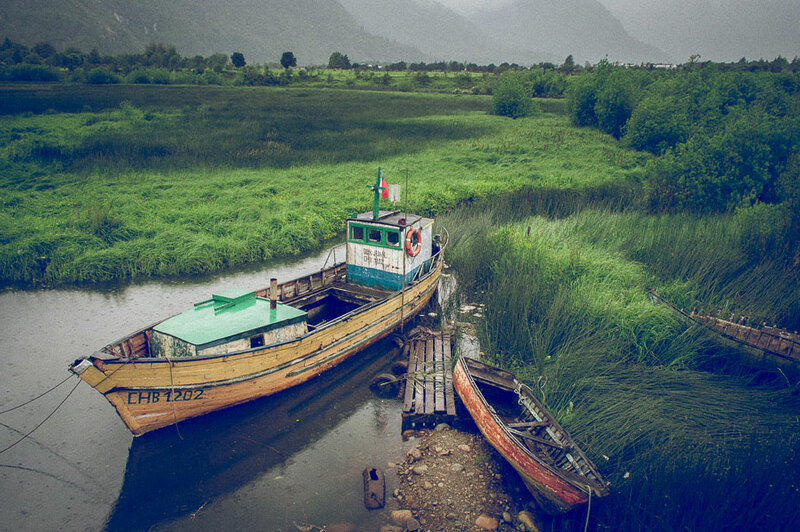 • I used Clarity to increase the texture of the boats. • I cropped out the distracting background the Crop tool. Our second tip is that to make great black and white photos you need to start to master the art of photographic composition. Let’s keep it simple – I’m going to give you three things you can concentrate on. This makes it much easier when you’re taking photos, and also when you try out the creative exercise of going through your color photos to see which ones are worth converting to black and white. Simplified composition helps give your black and white photos more power by focusing attention on the main subject. 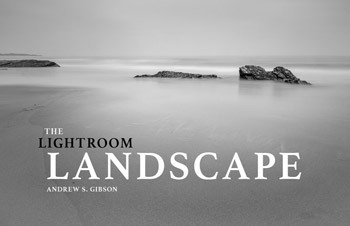 We already touched on this in the first lesson but it’s worth repeating because photos with strong, simple compositions often have the potential to look great in black and white. Black and white is a graphic medium that suits simplified compositions. For example, in the photo below I closed in on the ornament so it filled the frame and kept the composition simple. It’s a bold, graphic composition that works well in color because of the limited palette. Texture is an important part of many black and white photos. You can use this characteristic to make your black and white photos more interesting. If you’re out taking photos with the aim of working in black and white, then look for subjects with lots of interesting texture. Similarly, if you’re looking through older color photos then look for images with a strong subject and lots of texture. Images like this have lots of potential in black and white. Here’s a color photo of mine that has lots of beautifully textured surfaces, along with the black and white version. 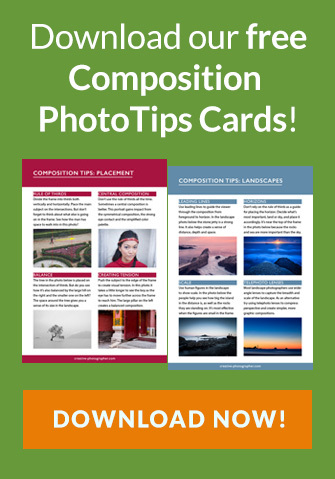 You can take this idea further by looking for photos that contrast smooth and rough surfaces. Portraits that contrast the smoothness of a model’s skin against the texture of a rough background are a great example of this. Tonal contrast is where you have light tones and dark tones next to each other. We saw this in action earlier with the photo of the wooden boats. Portraits are a good place to see tonal contrast. In the portrait below the model’s light-toned skin contrasts with the dark background. The key to making this technique work is to make sure the background is in shade and that it contains no distracting highlights. 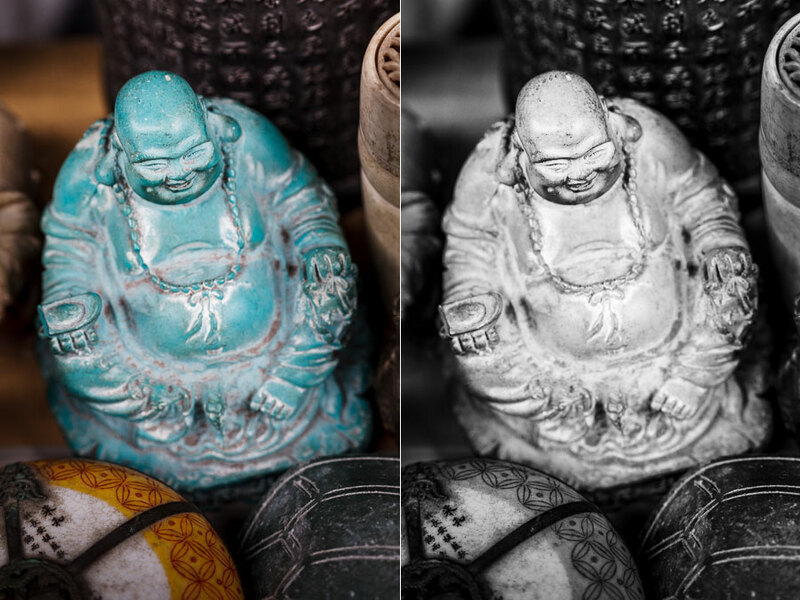 Remember that you can use Lightroom’s B&W panel to make certain tones lighter or darker to introduce tonal contrast where it doesn’t seem to exist in a color photo (you can also do this in Photoshop and black and white plugins). As you’re thinking about these ideas and putting them into practice, it’s good to bear in mind that they often work together. The strongest black and white photos combine tonal contrast, strong use of texture and graphic, simplified compositions. 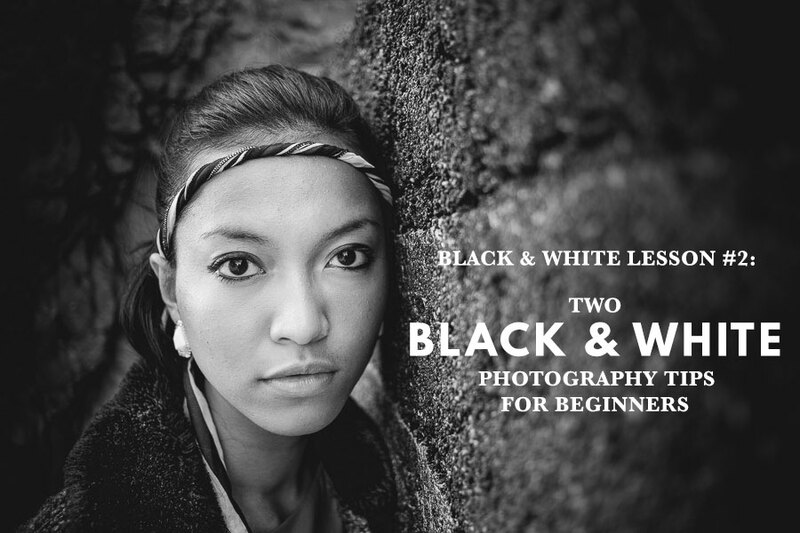 This is the second lesson in our mini-course about black and white photography. 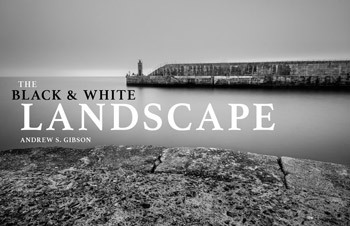 In tomorrow’s lesson you’ll learn about the most common mistakes photographers make when working in black and white! 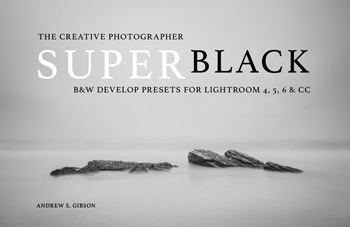 If you’d like to learn more about black and white photography then please take a look at our 10 Black & White Assignments ebook, our SuperBlack Presets for Lightroom or our PowerBlack Presets for Luminar.